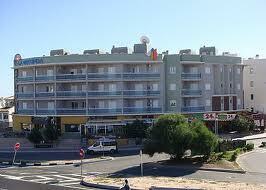 Consistently the most popular of the Cabo Roig Apart Hotels. Staying on the Cabo Roig strip you will certainly have plenty of life with over 40 bars and restaurants to choose from but at the same time just a gentle stroll down to the Marina and beaches. This is an ideal base to explore the courses in the area whilst also being guaranteed to have plenty of nightlife. Prices per person based on 4 sharing 2 bedroom apartment on self catering basis, other options are available please contact us for more details.